Unified CCX Engine provides the core ACD, IVR and CTI. Workflow configuration auto triggers complete call recording on certain types of calls for agents using CAD. 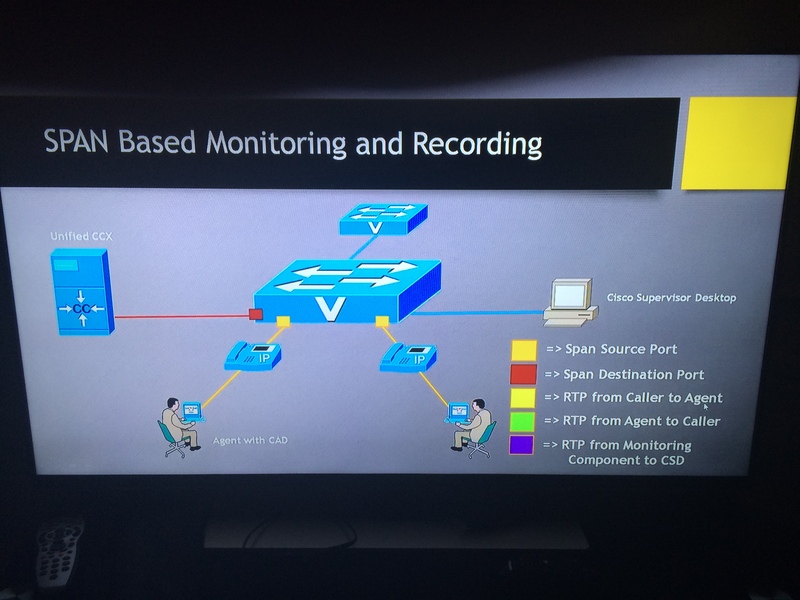 Unified CCX Provides 2 mechanisms – SPAN Port Monitoring and Desktop monitoring. RTP data is sent from CAD and when Supervisor clicks on Silent Monitor, the RTP is sent cross to the CSD. 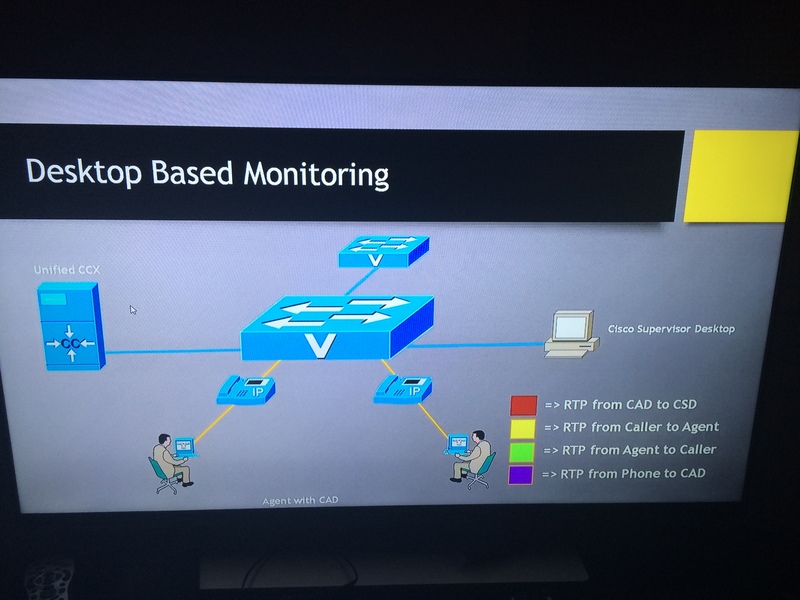 Desktop Based Recording is very similar, however the CAD or CSD can initiate the call and forward the RTP streams to the Unified CCX server.